The only collective action procedure available in the Portuguese jurisdiction that is similar to common law’s class action is the ‘popular action’. In accordance with Article 52 of the Portuguese Constitution, every citizen has the right to individually, or jointly with others, submit petitions, representations, claims or complaints to defend: their rights; the Constitution; the laws or the general interest of sovereign entities; self-government bodies of the autonomous regions; or any authority. They also have the right to be informed of the outcome of any petition, representation, claim or complaint within a reasonable time frame. All citizens with political and civil rights have the right to popular action, independently or through associations or foundations incorporated to defend relevant diffuse interests. The general procedure and framework for bringing popular actions is set out in Law 83/95 of 31 August 1995. Law 83/95 establishes a right to ‘opt-out’ of popular action to all interested parties. This is explained in more detail below. While the rules concerning popular actions apply to all areas and sectors of the law, there are several provisions, in addition to Law 83/95, that expressly prescribe the right to popular action. These provisions relate to specific areas of the law, such as the Environmental Policy Law (Law 19/2014 of 14 April), the Consumer Protection Law (Law 24/96 of 31 July), the Cultural Heritage Law (Law 107/2001 of 8 September), and the Securities Code (Decree-law 486/99 of 13 November). Comparable to class actions are the collective actions heard together when multiple claimants join in one action separate claims on a similar or related subject (joinder of parties). This type of group claim is provided for in Portugal in both the Civil Procedure Code and the Administrative Procedure Code. Moreover, when two or more proceedings are already pending before the court, it is possible to request that both cases be joined where there is a connection between the claims (joinder of actions). The main difference between a joinder of parties or actions and popular actions is the opt-out rule. Also, whereas claimants generally only represent themselves and their interests, even where they join an action, popular actions’ claimants represent all parties with an interest or a right in the proceedings. Contrary to the mere joinder of parties, in popular actions the claimant may not have a direct interest in the claim submitted. Furthermore, it is not mandatory that the claimants involved in a popular action have suffered any ongoing or impending injuries or damages. Claimants represent their class at their own discretion, without needing a proxy or express authorisation from the other class members. Since these types of claims are not common, no specific court or judge has jurisdiction to hear popular actions. The administrative and the civil courts have general jurisdiction. As mentioned before, class actions are not very common in Portugal. According to statistical reports regarding the exercise of civil class actions before the first instance courts, from 2007 to 2016, only 186 cases were finalised.2 The average number of cases heard before the first instance courts in Portugal is 18 per year. Nonetheless, the number of class actions filed by retail investors, or associations on behalf of retail investors, for the protection of the investors’ homogeneous individual or collective interests in financial instruments, has increased significantly. In August 2014, the Association of Investors and Technical Analysts (ATM) filed a claim against some of the former directors of PT SGPS for damages caused to shareholders. In October 2014, more than 500 investors filed a class action before the administrative courts to annul the resolution measure taken against Banco Espírito Santo, arguing that the decision by the Bank of Portugal in relation to the measure, was illegal. In February 2015, the Association for the Defence of Consumers (DECO) filed a class action against the former directors of Banco Espírito Santo and KPMG seeking compensation for investors that bought shares in the 2014 share capital increase. In March 2015, a member of ATM filed a class action against Banco Comercial Português regarding the increase in account maintenance fees. In March 2016, 100 investors, from the Association of Aggrieved Investors of Banif (Alboa), filed a class action before the administrative courts to annul the resolution measure taken against Banif. In September 2016, more than a thousand investors filed a class action before the Lisbon Administrative Court against the Bank of Portugal, its governor and the Portuguese state. They claimed compensation for damages caused by serious shortcomings in the prudential and market conduct supervision with regard to the defendants’ involvement in the Banco Espírito Santo case. Also, in April 2017, Alboa filed a new claim before the Lisbon Administrative Court against the Bank of Portugal to annul a new resolution that clarified and amended the resolution measure taken against Banif. This claim was also filed against the public prosecutor, in representation of the Portuguese state, the Resolution Fund, the Directorate General for Competition of the European Commission, the European Commission (EC), Banif and Banco Santander Totta, among others. In September 2017, the Alfama Heritage and Residents Association (APPA) filed for a protective measure to prevent the construction of the Jewish Museum in Largo de São Miguel, arguing that the area designated for the building should be used for housing purposes. In November 2017, it was reported that ATM and the association that represents the aggrieved investors of PT/Oi (Alope) intended to file a class action against Haitong (formerly known as Banco Espírito Santo de Investimento). The claim should take into account the sale of structured finance products of the former Portugal Telecom. Additionally, in November 2017 the Legionnaire’s disease victim support association stated its intent to file a class action for damages against the Portuguese state, on the grounds of the lack of legislation in this regard and a breach of the constitutional right to life. In January 2018, the president of the Municipality of Sintra announced that a popular action was being drafted against the Portuguese Postal Service (CTT) owing to the unilateral decision to close one of the post offices in the area. Popular action comprises the right for an aggrieved party or parties to request the applicable compensation, in the cases and under the terms provided for by law. In particular, popular action may be taken to promote the prevention, cessation or judicial prosecution of offences against: public health; consumer rights; the quality of life, or environmental and cultural heritage preservation. In addition, the right to popular action may also be exercised to safeguard property owned by the Portuguese state, autonomous regions or local authorities. Popular action applications can be filed before the administrative or the civil courts. The relevant court depends on the interest in question and on whether the interest or right, and the damage caused, is related to a public or a private entity. Popular action may take any of the forms set out in the Civil Procedure Code and the Administrative Procedure Code. To initiate a popular action, the claimant must file the claim before the competent court. Except for Article 22, Paragraph 4, Law 83/95 of 31 August does not provide for specific rules regarding limitation periods applicable to popular actions. In addition, the statute of limitations regime in the Portuguese Civil Code4 applies. However, one particular rule concerning the statute of limitations applicable to popular actions relates to the right to compensation for tort. This right expires three years from the date the judgment is final and is no longer subject to appeal. There are three requirements that must be fulfilled for an association or a foundation to be able to file a claim on behalf of a group of citizens: (1) the association or foundation must have legal personality; (2) the defence of the relevant interest in the popular action to be filed must be an activity covered by the foundation or the association’s corporate purpose as set out in its articles of association; (3) the association or foundation cannot carry out an activity that could, in any way, be deemed as competing with an activity carried out by a corporate entity or a liberal professional. As prescribed in Article 15 of Law 83/95 of 31 August, once a class action claim is filed with the court, if a member of the class in question disagrees with the proceedings submitted, that person must opt-out of the action. After being summoned to accept or refuse the claim, the members of the class that have had no involvement in the proceedings will have three options: (1) they can declare that they ratify the proceedings at their current stage and they accept the claimant’s representation; (2) they can say nothing, in which case their silence will be deemed as acceptance; and (3) they can declare their refusal of the claimant’s representation to not be bound by the decisions that follow. The right to opt-out of a class action may be exercised, until the end of the evidence production stage of the proceedings by submitting a statement to the court. Law 83/95 of 31 August does not foresee a minimum number of claims to be filed. Portuguese law only requires the claim to be filed by an individual and does not exclude overseas claimants. Hence, class action claims may be brought by Portuguese citizens or foreigners in, or residing in, Portugal. Due to the Portuguese constitutional principle of equal treatment, any person has the right to lodge a claim before a court irrespective of their national origin or citizenship. Once a claim is filed, the interested parties are summoned to join the proceedings, if they wish to, or to declare that they do not agree to be represented by the claimant that initiated the class action. The judge will determine the deadline for interested parties to inform the court of their acceptance or refusal. The summons to accept or refuse the claim issued to any potential members of the class covered by the claim will be publicly announced by the media or through a public notice, if the interests in question concern general interests or can be geographically recognised. The personal identification of the class of persons covered by the claim does not need to be provided in the summons. The potential members of the class covered by the claim may be referred to as holders of the relevant interests. The summons should also identify: the case file, the first claimant that submitted the claim, when there are several; the defendant or defendants; the subject matter of the class action; and the grounds for the claim. When the interested parties cannot be specifically identified, the summons should refer to the relevant scope of people. This scope should be determined based on the specific circumstances and features that the people have in common, the geographic area where they live or the group or community that they are part of. However, the court is not bound by the way in which the application identifies the class of persons covered by the claim. Recently, the Portuguese Supreme Court of Justice issued a decision that determined that a popular action should be declared inadmissible if the defendants have grounds to raise specific arguments of defence against individual claimants. Since popular actions are aimed at the defence of diffuse interests, particular circumstances with respect to each claimant must be disregarded. In addition, the Supreme Court held that the claimant who files the claim on behalf of the class cannot represent the class if there is a conflict of interest between the claimant and any member of the class.6 While the parties must provide the necessary evidence to the court, judges have a more active role in Portugal than they do in adversarial systems in the US. Judges conduct the trial and have the power to question witnesses and also require the production of evidence. The Portuguese civil litigation system, as opposed to the US legal system, is characterised by written procedure. The parties lodge their claim, defence and replies (if applicable). As a general rule, the judge only intervenes after all written pleadings have been filed and, when necessary, call for a pretrial hearing. At the pretrial hearing, the judge will verify if the procedural prerequisites have been fulfilled. If so, the judge will determine the subject matter of the case and the key issues that are to be subject to evidence. At the final hearing the judge will hear the witnesses’ testimony, as well as the parties and the experts’ clarifications, if requested. The hearing will end with the parties’ closing arguments and be followed by the final judgment. As provided by Law 83/95 of 31 August, in class actions the judge is more independent than in civil procedure actions. The judge is not dependant on the evidence submitted by the parties and may require the parties to provide additional evidence. In addition, if the judge believes that it is highly unlikely that the application will succeed, the judge can preliminarily refuse the claim. However, before reaching such a decision, the public prosecutor must be heard and the judge should carry out the preliminary assessments deemed necessary or requested by the parties or the public prosecutor. The public prosecutor may replace the claimant when the claim is withdrawn, settled or the claimant acts harmfully against the relevant interests to be defended. When an appeal does not suspend the effect of the initial decision, the judge may rule in favour of suspension to prevent irreparable damage. When the final judgment in a class action is final and no longer subject to appeal (when it has the force of res judicata), the decision will be binding against all interested parties. Apart from the members of the class who expressly opted out of the proceedings, all remaining members who declared their acceptance or who did not opt out will be bound by the court’s judgment. The final judgment will be published in two newspapers, chosen by the judge, which are presumed to be read by the parties with a relevant interest in the subject. This publication must be made at the expense of the losing party. Failure to comply with this obligation will result in liability for disobedience. Instead of publishing the full text of the judgment, the judge may determine that only extracts of its key points are to be published. There is no difference between the time taken for class actions and other actions in Portugal, where the average length of civil proceedings is three years though some actions last for several years. The trial is heard and decided by a single judge, without a jury. Pursuant to Portuguese law, as a general rule, no punitive damages are awarded for class actions. All types of damages may be recoverable, including general and special damages and compensation for loss of profit. The law does not impose a maximum limit on the damages that the court may award: the quantum is fixed taking into account the losses suffered by the claimants. When it is not possible to identify the holders of the interests in question, the court fixes a global quantum to be awarded for civil liability. When the class of persons covered by the claim has been identified, those people will be entitled to compensation under the general rules of Portuguese civil liability law. Where the limitation period for compensation has expired, any damages awarded will be provided to the Ministry of Justice. These damages will be held in a special account and allocated to pay attorney expenses and support legal aid for popular action right holders that may lawfully request it. The claimant is exempt from paying preliminary costs and judicial costs are only due after the final judgment. Under Portuguese law, the losing party must reimburse the court fees borne by the winning party. If the claimant’s claim is totally or partially upheld, the claimant will be exempt from paying court fees. However, if the court refuses the claim, the judge will determine the court fees to be paid. This varies between 10 and 50 per cent of the regular fees. The judge should take into consideration the claimant’s financial situation and the substantial or formal grounds for the refusal of the claim. Law 83/95 of 31 August provides for the joint liability of claimants involved in the proceedings. In Portugal – as in most of the Member States of the European Union9 – the use of contingency fees (also known as pactum de quota litis) is prohibited by Article 106 of the Portuguese Bar Association Statute (Law 145/2015 of 9 September) and Article 3.3 of the Code of Conduct for Lawyers in the European Union. Contingency fees are defined as the agreement between a lawyer and client, entered into prior to the final conclusion of the case, whereby the client undertakes to pay a share of the damages awarded with the lawyer, regardless of whether the amount awarded represents payment in cash or in kind. Nonetheless, lawyers and their clients can previously agree that the fees to be awarded are based on the value of the case’s subject matter or that, apart from the fees awarded based on other criteria, the lawyer will be entitled to additional fees related to the outcome of the case. In Portugal, there are no specific rules regarding the settlement of class actions, so the general requirements set out in the civil procedure code apply. In accordance with Paragraph 3 of Article 290 of the Civil Procedure Code, when the parties to a class action enter into a settlement agreement, the agreement must be submitted to the court for approval. The settlement agreement will only be binding on, and enforceable in relation to, those who subscribe to it. The members of a class that refuse to subscribe to the agreement or that have expressly opted out of the class action will not be bound by the settlement. In Portuguese law, there is no specific provision restricting ‘forum shopping’. Additionally, the EC recently issued a Recommendation on common principles for injunctive and compensatory collective redress mechanisms in the Member States, concerning violations of rights granted under Union Law (EC Recommendation 2013/396/EU of 11 June 2013). Though non-binding, EU Member States were supposed to have implemented the principles set forth in the Recommendation in their national collective redress systems by 26 July 2015. By 26 July 2017 at the latest, the EC will assess the implementation of the Recommendation. 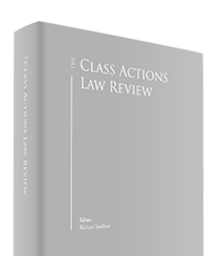 In our view, there are numerous principles set out in the Recommendation that could lead to an amendment of the Portuguese legislation regarding class actions. There are many reasons for the fact that the Portuguese popular action mechanism is rarely used. 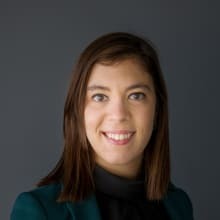 The main problems with the implementation and enforcement of popular action have been summarised by Paula Meira Lourenço.17 Instead of popular action claims, consumers generally opt for filing injunction claims in accordance with the Portuguese Consumer Protection Law, as these tendy to be more effective. Moreover, alternative dispute resolution schemes, such as mediation or arbitration, has become entrenched and has significantly increased in recent years. Today they are seen as an expedient and efficient option. In most cases, the court cannot immediately fix compensation for damages that it awards. This is because the court requires settlement procedures to be filed, which further delays the enforcement process. Though exempt from payment of preliminary costs, the prohibition of contingency fees can also be discouraging to potential claimants. Nevertheless, we are witnessing a growing increase in the use of popular action claims, in particular with regard to the protection of retail investors’ collective interests. Following the collapse of Banco Espírito Santo, the downfall of Banif and the related resolution measures taken, associations incorporated to defend and protect the individual or collective interests of investors who suffered injury or losses due to the lack the repayment for their financial investments have not only strived to represent the interests of their members but also of any other interested parties. With the final outcome of the Banco Espírito Santo, Banif, Banco Comercial Português and Bank of Portugal claims pending, all eyes will be on the implementation and effectiveness of the Portuguese popular action mechanism. The outcome will affect a considerable number of national and foreign citizens and will most definitely be publicly broadcast throughout Portugal and Europe. We are at a turning point that could define the future of the class action system in our country. It could confirm whether the system is an adequate form of group litigation for the defence of diffuse interests in our jurisdiction. Additionally, the fact that popular actions are in the spotlight may draw out the relevant features of the procedure that require improvement. Finally, it may also serve as evidence that certain rules are blocking the success of this scheme, such as the opt-out system, the lack of preliminary certification by the courts or the prohibition of contingency fees. 1 Nuno Salazar Casanova is a partner and Madalena Afra Rosa is a junior associate at Uría Menéndez – Proença de Carvalho. 2 This statistical analysis was carried out by the Portuguese Directorate-General for Justice Policy and is available at www.siej.dgpj.mj.pt. 3 For more information regarding the claim presented see ‘Press Package: Portuguese Competition Observatory initiates collective enforcement action against Sport TV to compensate consumers for damages caused by infringements of competition law’. 4 Decree-law 47 344/66 of 25 November. 6 See Decision of the Supreme Court of Justice dated 8 September 2016, in case No. 7617/15.7T8PRT.S1, available at www.dgsi.pt. 7 Injunction claims are foreseen in Article 10 of the Consumer Protection Law and Article 25 of the Regime concerning general contractual terms (Decree-law 446/85 of 25 October). 8 Article 31, paragraph 3 of the Portuguese Securities Code. 9 The quota litis is permitted in Spain, for example. 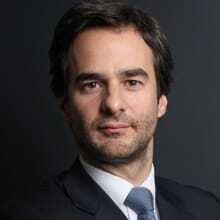 10 See, for example, Miguel Teixeira de Sousa, A legitimidade popular na tutela dos interesses difusos, cit., page 242. 11 Point 13 of the Recommendation. 12 Point 14 of the Recommendation. 13 Point 17 of the Recommendation. 14 Point 21 of the Recommendation. 15 Point 33 of the Recommendation. 16 Point 35 of the Recommendation. 17 See Paula Meira Lourenço, Public Hearing on a Horizontal Instrument for Collective Redress in Europe? (Brussels - 12.07.2011 - 09:30-11:00 - Room JAN - 4Q1) – Portuguese Experience, page 8.